In a Nutshell: A curtain has separated economic policymakers from the public that elected them for decades. Official Congressional press releases and soundbites to the media were intentionally vague and gave minimal information to the public. C-SPAN lifted that curtain nearly 40 years ago and allowed Americans access to proceedings that affect their everyday lives. Three networks currently broadcast more than 8,000 hours of original public affairs programming each year and a digital video library provides free public access to more than 200,000 hours of previous programming. C-SPAN radio reaches across the globe and is supplemented with a popular podcast. The C-SPAN bus, reintroduced in 2017, will tour America through 2018 and visit all 50 state capitals with educational and interactive events planned for visitors of all ages. My favorite elementary school mornings would start when a metal cart carrying a television rolled into the classroom. That aged box was a magical portal to me, sent to prove that things still happened in the world while I was stuck in that room. Like most kids, I hoped we’d watch a cartoon. Maybe it was a holiday I didn’t know about and we would watch a movie. Our teacher, Mr. McDonald, always got us excited for what he had planned — it’s not too difficult to pump up a room full of third-graders. He’d flip the switch and the TV set would pop and hiss and eventually warm up to a picture of a courtroom or the Senate floor. Men in suits stood at podiums and other well-dressed people voted on what was said. I had no idea what it all meant, but I enjoyed watching the votes change. My classmates picked a side — red or blue — and waited to see who would win. 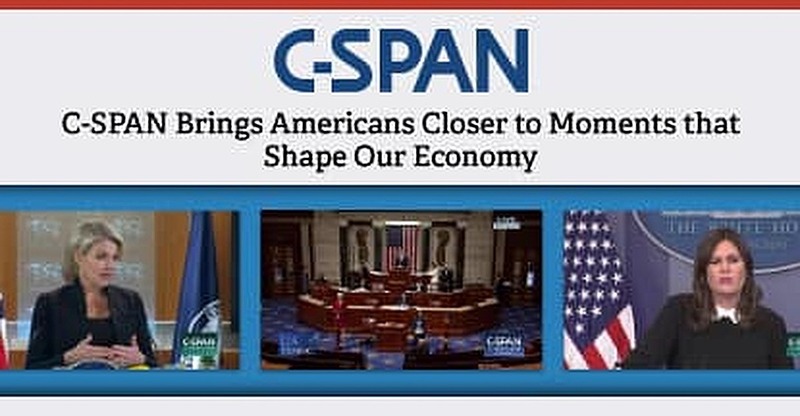 Although C-SPAN’s target audience isn’t children, its coverage has educated and informed Americans of all ages by providing access to historical moments over nearly four decades. The cable network launched in 1979 with a one-minute Senate speech by Tennessee Democrat Albert Gore. Years later, Albert trimmed his name to Al and the young network expanded from 3 million homes to more than 100 million across three networks. Advances in technology have changed the way the nonprofit, nonpartisan network reaches its audience. C-SPAN’s portfolio now includes a popular radio station, podcasts, and interactive events like the C-SPAN Bus that travels the country educating Americans on issues important to their state and country. Television and radio networks today report on financial proceedings with loud sound effects, yelling, and bold personalities to get attention. C-SPAN deflects the spotlight and focuses on the delivery of information, regardless of party affiliation. The result is television that isn’t always exciting but remains informative. 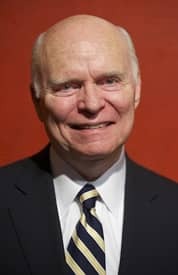 C-SPAN’s founder Brian Lamb conceded as much in a 2017 interview with The Hill, in which he said the network has struggled with members of Congress who wanted to maintain tight control of their public images. “A lot of people don’t understand that the cameras in chambers aren’t ours and the reason why it’s not exciting television is frankly because they won’t allow us to put our own cameras in there,” he explained. Televising hours-long government proceedings may not seem like a winning formula for broadcast success, but C-SPAN has outlasted competitors with unprecedented access that other networks can’t get. That access has led to incorrect assumptions that the network is government-owned. In fact, the company maintains operations with fees paid by cable and satellite companies that carry the channel and not with government funds or grants. The decision to allow cameras into specific proceedings is determined by a vote by the governing bodies running the meeting and even then they’re restricted to certain angles and areas of the courtrooms or meeting halls. The biggest laugh came from C-SPAN, which uses the attention to attract new viewers to its growing number of media platforms and past broadcast footage. The company began archiving its television coverage through a digital video library in 1987. More than 165,000 events, including 14,000 Congressional hearings and 829 commencement speeches can be viewed on demand for free. Every year, another 8,000 hours of original public affairs programming is added to the more than 200,000 hours of archived footage. A simple search of the library offers more than 15,000 free videos of meetings that shaped economic policy and tax strategies across the country. Viewership ratings for the television network are unavailable since it is not tracked by Nielsen. The company, which does monitor how its content is consumed, reported at the start of 2017 that 70 million US adults accessed its programming in the prior six-month period. Most users accessed content through their television, with a combined 46% logging in through computers or Smartphone devices. C-SPAN’s following and social impact are evident in its growing C-SPAN Radio network. The station boasts the nation’s only 24-hour public affairs programming format. WCSP-FM started as a metro Washington DC station but has spread across the globe through internet streaming and a simulcast on SiriusXM Satellite radio. Listeners over the 20 years of broadcasting developed the mantra “Thank you for C-SPAN” when they call into shows. In a 2017 C-SPAN radio interview, Brian Lamb credited those listeners and viewers with the expansion of the company from a single television channel to three networks, internet programming, and a successful radio station. Radio listeners are given access to similar government proceedings as television viewers, as well as several studio-produced call-in shows. In 2017, the station was the first to broadcast the complete tape recording of President Lyndon Johnson’s White House phone conversations. Some courts, not wanting the distraction of cameras in the courtroom, allow audio-only feeds of proceedings. In December of 2017, the 4th Circuit Court of Appeals gave the station access to broadcast audio of its arguments over President Trump’s travel ban. The feed is the only way the proceedings can be heard. The C-SPAN Bus was introduced in 1993 to promote the network and bring educational opportunities to areas that could not access them. In 2017, an upgraded 45-foot customized motor coach was unveiled for its 50 Capitals Tour. The 14-month journey will take the bus across the nation to welcome visitors at each state capital. Visitors have the opportunity to video record their questions and thoughts on local and federal government issues via the Voices from the States program. Those videos will be used for future programming. The bus also features 11 large-screen tablets for interactive experiences and a smart TV classroom area designed for conversations with students and teachers. High-definition studios broadcast live programming and visitors are invited to take DC-themed photos at a selfie station. Forty years is a long time for any program to stay on the air and remain relevant. Modern culture wants information fast and on demand. Government meetings that often take hours to complete don’t fit that mold. C-SPAN remains a staple of political and economic policy access despite changes in consumer attitudes. Viewers are allowed behind the curtains of public policy making each day, a process that for years separated citizens from their elected officials. Historic proceedings that have shaped the country’s economic past, and continue to shape the present and future, have been beamed from courtrooms and Senate halls to the homes of people affected by the decisions being made. A new generation of students has access to the same programming I watched in a third-grade classroom three decades ago. That content is now available on a wide array of platforms — including three network television stations, a digital video library, a content-packed website available on mobile devices, and a radio station that broadcasts across the globe. The reintroduction of the C-SPAN Bus in 2017 takes the programming history of the channel and delivers it to consumers in a way that educates, enlightens, and entertains. It would make for a pretty fun field trip if Mr. McDonald is still out there teaching.